Google recently released their second Google branded smartphone, the Google Nexus S, and now it looks like the company may be working on their own Google branded tablet. According to Mobile Review, the Google ‘Nexus’ tablet is being developed by LG for Google, and it will come with the same Nexus branding as Google’s own Android smartphone. The ‘Nexus Tablet’ from Google would feature the tablet version of Google’s Android OS, Android 3.0 Honeycomb, and the report says that we could see it launch as early as this summer, or maybe in the early fall. LG recently released their own Android Honeycomb tablet, the LG Optimus Pad, which is also know as the T-Mobile G-Slate in the US, and it isn’t clear whether a Google Nexus Tablet would have similar specifications to this one or if it would be a completely new tablet. It will be interesting to see what Google has planned for their own tablet, and it could end up becoming popular amongst Android fans. 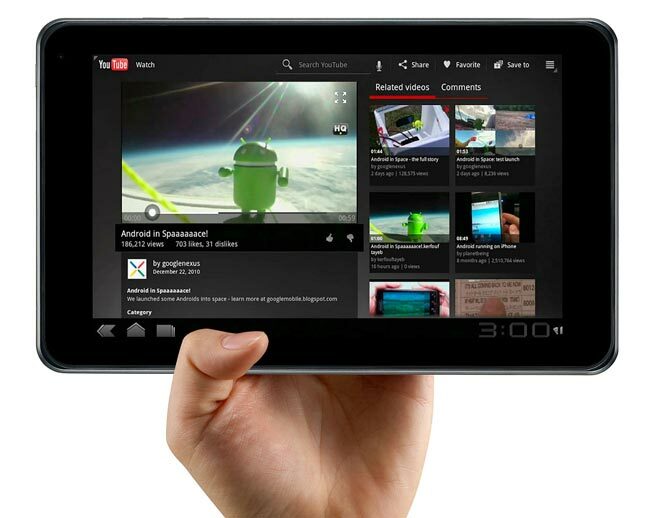 The image above is of the LG Optimus Pad tablet and not the yet to be released Google Nexus Tablet.